When you move the mouse over an identifier that has no error or warning, by default a hover with the Javadoc is shown. However if there is an error or a warning on the identifier then the corresponding message is shown. To see the Javadoc even in this case, you can enable the Javadoc hover on this preference page and define a key modifier e.g. Ctrl+Shift. 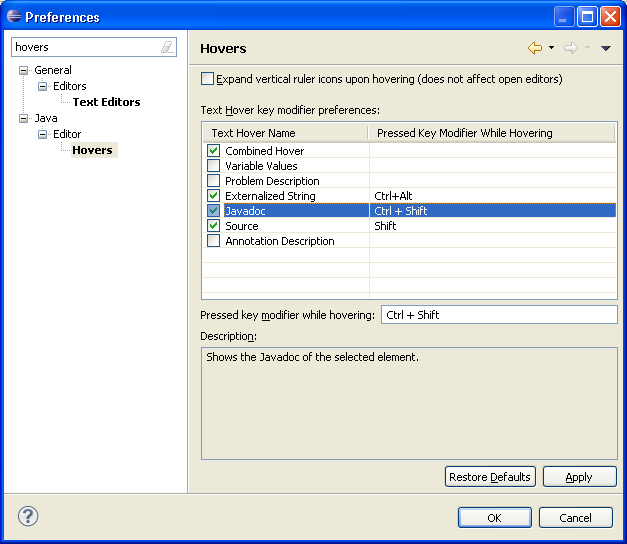 Now press Ctrl+Shift while hovering to see the javadoc.